Fans, parents, students, athletes, and coaches of 80,000+ sports teams worldwide now have unprecedented access to scores, stats, schedules, photo and video sharing, and more. 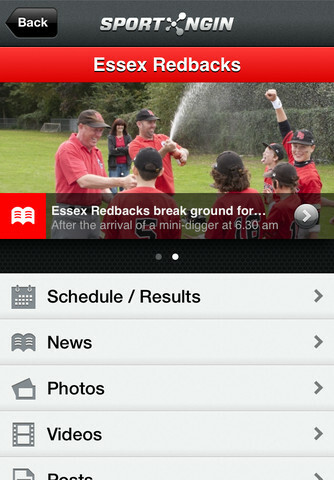 Install the app today and keep up with the latest schedules, results, news and statistics. Share photos and videos right from the game and enjoy rosters and player profiles, complete with game-by-game statistics. 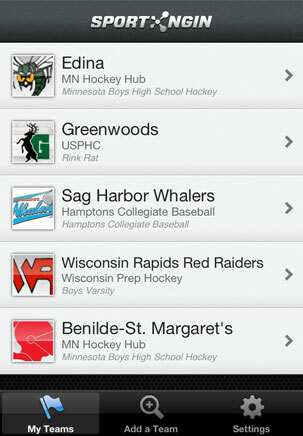 Download the Sport Ngin mobile app for iPhone and Android to follow your favorite team. Following your first team is free. $1.99 annually lets you follow an unlimited number of teams and access editing features available to administrators. Whether you're a one-team kind of person, or a sports junkie that wants to know anything and everything going on in North Dakota sports, we've got you covered. ©2019 North Dakota Sports Café / SportsEngine. All Rights Reserved.